Her Royal Majesty, Queen Elizabeth II, was seen at the King’s Lynn train station in Norfolk on Wednesday, boarding a train that would take her back to London. The Queen had spent Christmas and the month of January at Sandringham, where she hosted her entire family for the holidays. As she entered the platform, a couple could be seen standing to the side with wide stares. 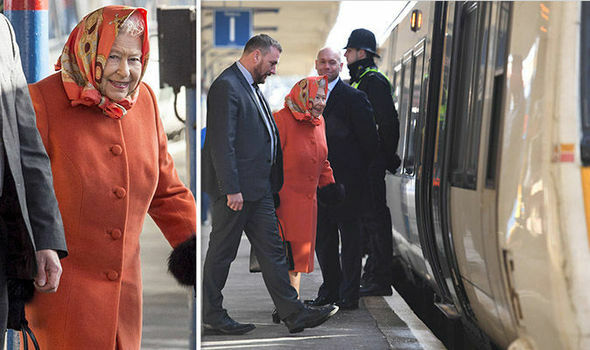 The Queen was her usual unflappable self, although she stood out in a bright orange coat and matching orange headscarf. 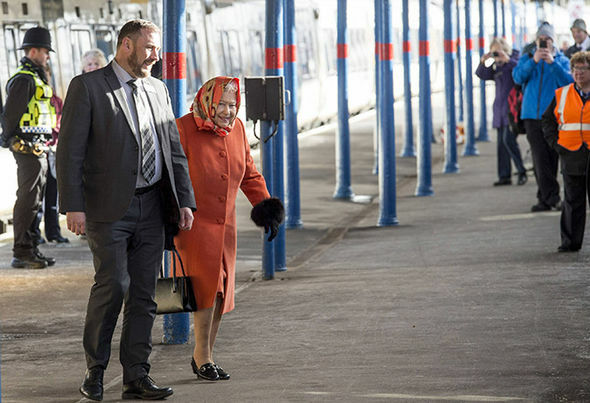 After she arrives back in London, Queen Elizabeth has a busy few months ahead of her.